Pesticides seem to have a lot of bad reputation in our newly enlightened world. These essential tools of crop growing are usually regarded as the sole cause of harmful chemicals that reside within our everyday foods; therefore organic pesticides are made to counteract these scary and otherwise potentially harmful yet necessary tools. This is why we have compiled a list of the best in organic pesticides to keep you enlightened as well as help anyone to look into potential farming and wanting to know the best in the business. The concept and practice of utilizing microorganisms and other chemicals to control insect pests isn't a new idea. Pest control strategies in prehistoric times are mentioned in the writings of ancient Egyptian and Chinese scholars. Some scripts relate the practice of gardeners in several Egyptian pharaohs maintaining bacterial collections for use against insects that attacked and ravaged the gardens surrounding their houses and tomb chapels. As we have developed our processes of keeping crops away from pests, we discovered that some pesticides can be harmful to use, thus creating the want for organic pesticides. Some harmful pesticides are still used today, so this is why we have compiled some of the best in the organic field to help you be away of what you put in your body. Today's scientists are discovering more and more plants that produce natural bactericides, fungicides, and insecticides. In fact, many nontoxic household products are considered effective in the war against gardening pests. We know you may have many questions about what exactly pesticides are and what they do for you. There is a lot to talk about, so we will try to get the basics out here. Pesticides are substances or chemicals that are used on plants and crops to keep away bugs and pests. It's extremely important for farmers to use these so as to preserve their crops from potential germs from said pests, or losing stock of crops altogether. There are also different types of pesticides. genetically modified soy, corn, canola, and cotton, as well as in home gardens and parks, atrazine, which is usually used on weeds, Chlorpyrifos, which is usually used in home gardens and is even known to give health benefits, Metolachlor, which is a herbicide, and Metan Sodium, which is a widely used fumigant that is usually put on potatoes. It matters on the pesticide. Both scientists and farmers are constantly trying to find new and less harmful ways to create pesticides cost-effectively, but it's not always easy. Organic pesticides usually elude both harmless and unaltered crops so that it serves its purpose without doing anything bad to your body. It can matter on the pesticide, but the usual answer is a type of poison specifically tailored to pests. Some pesticides can be a certain fungus that invades insects, others can be chemicals that kill bugs on impact. There are all types, and each has a specific purpose, including organic pesticides. Anywhere from online to your local hardware store. They are definitely not difficult to find. Check online or at your local store and ask them if they have the specific pesticide you are looking for. If you are curious about the pesticides used in their products, ask the managers about it, or look online to see if there is any information regarded on whether they are using organic pesticides. This can totally matter on the amount you are buying and which pesticide you are buying. This would be very difficult to quantify, but it can range anywhere from $10 to $1000 if you are getting a higher or lower amount of pesticide. The following organic pesticides were reviewed by how well they worked both as a pesticide and how harmful the crop turned out to be towards the end. Each has its own benefits and can be used in many situations, so look through to see which is right for you and your situation. Ready to Spray! The product does smell, but it works. Bacillus Thuringiensis, also called Bt, is a microbe commonly found in soil. It kills the larvae of certain flies and mosquitoes. 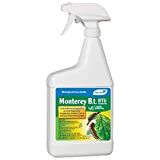 The main targets for this are the larval stages of mosquitoes, black flies, and fungus gnats however it does not kill larval stages of "higher" flies such as the house fly, the stable fly, or blowflies. This is a mix of household detergents to make an acceptable insecticide for your plants. You can find a guide on how to create it for yourself online, or you can experiment for yourself in your own home. 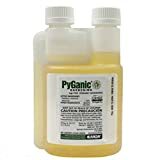 There are many ways to make organic pesticides with this method, so experiment and see which type fits well with your needs. Beauveria bassiana is an entomopathogenic fungus that causes white muscadine disease in a range of insects including whiteflies, aphids, thrips, grasshoppers and certain types of beetles. Once the host insect is infected, the fungus rapidly grows inside of the insect, feeding on the nutrients present in the host's body and producing toxins in the process. When the host dies, the B. bassiana covers the carcass in a layer of white mold that produces more infective spores. Insects are repelled by Surround. At harvest time, the white film can be removed simply by rubbing off. Kaolin clay is a naturally occurring soil mineral that is harvested, pulverized and packaged for application to fruit and vegetable crops. It repels, irritates, discourages and annoys a wide range of insects and also reduces fungal disease. Making it one of the ideal organic pesticides on our list. Pyrethrin naturally occurs in chrysanthemum flowers, thus is often considered an organic insecticide, or at least when it is not combined with piperonyl butoxide or other synthetic adjuvants. It kills a wide range of insect pests including ants, mosquitoes, moths, flies, and fleas. Pyrethrin kills off insects almost instantly upon contact. Make sure to take care to avoid using on beneficial insects such as ladybugs and honey bees. Only use pyrethrin in situations where it will not affect these types of insects. One of the old time classic organic pesticides still used by both organic and nonorganic gardeners. It's applied during the dormant period. It kills most species of mites as well as mite eggs and those of many other insects. Lime sulfur also has fungicidal value and can be used on fruit trees as well as ornamentals. Note: Lime sulfur applied to plants near the house will stain the paint. Apply cautiously near buildings. PEST-KILLING DUST: Use indoors or outdoors to control listed crawling insects on contact. CONTROLS: Kills cockroaches, ants, silverfish, beetles, fleas, bed bugs and other crawling insects as listed. Diatomaceous earth is made from the fossilized remains of tiny, aquatic organisms called diatoms. Their skeletons are made of a natural substance called silica. Over a long period, diatoms accumulated in the sediment of rivers, streams, lakes, and oceans. Today, silica deposits are mined from these areas. 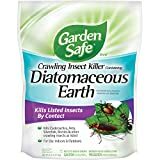 Diatomaceous earth is one of the most useful organic pesticides in dry situations. One Pound Bag of Extra Hot 90,000 Heat Unit Cayenne Pepper Powder, from Freshly-Ground Dried Red Cayenne Peppers. 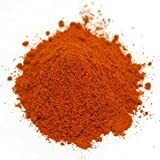 90K Cayenne Pepper is great for use as a spice or a supplement. These organic pesticides used to discourage many pests such as dogs, cats, many insects, and snails from approaching your crops, basic hot pepper dust or sauce can be applied to your plants. This insecticidal oil is for insect control in citrus, tree & vine crops, ornamentals and vegetable crops. It is effective as a dormant spray as well as during the hot summer months with no temperature restrictions. 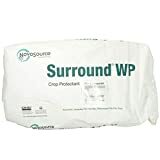 It can be used alone or in combination with other insecticides or fungicides. Plant oils are usually complex mixtures of substances made by plants to create organic pesticides. Oils such as lemon, orange, and anise give fruits and seeds their characteristic odor and taste. The oils are used as pesticides to repel certain animals and insects and to kill certain insects. When used as pesticides, these oils do not present any known risks to humans or the environment. What pesticide you may use in your garden will totally vary on who you are as a person where you are located, and the threats you may encounter. Each pesticide distinctly carries little cons through scientific and natural means, but there are always methods to find out more about what type of insects may invade your specific garden, and what pesticide would best suit your needs for that. It would be nearly impossible to determine which is the best without knowing what the potential threat could be to your crops. Overall, organic pesticides are important to consider when having a garden, and anything that can make your crops grow with no troubles is always the most rewarding, so research what goes into your food, and make your own decision on what would be best to pick up or garden with.